Don't you want your house to be that house, the one with cars parked up and down the street? Because with amazing entertainers from About Faces Entertainment, your party will be just that awesome. Can you imagine the looks on your guests' faces when they see a great caricature? Or fantastic face paint? How about a beautiful balloon friend? Everybody needs a balloon friend. It's too late to book an entertainer for your New Year's Eve party. Sorry. However, you still have time to hire entertainment for Superbowl, Valentine's Day, and President's Day celebrations in February. That's next month! Email us or call 1-800-923-8669 right away. Book your event now! 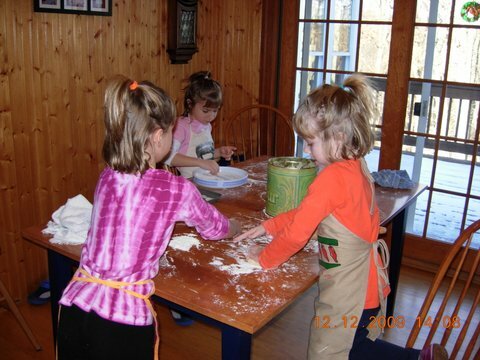 Congratulations to Paulette C. from Pennsylvania who sent in a lovely picture of her granddaughters baking cookies for their family holiday get-together. At About Faces Entertainment, we value cookies very highly--almost as highly as we value customer satisfaction. Almost. In Japan, fruit cakes and Kentucky Fried Chicken are must-have foods for the Christmas season. Families in Ukraine decorate their trees with spiderwebs. Lots of Venezuelan families roller skate to Christmas Day morning mass. Some Welsh people walk around with a sheet over their heads and a horse's head on a stick. They go door to door, singing songs. "Mac was a big hit at the Wood Group Christmas party this past Friday night!!! go Mac!" -Chandel S.
"Dori was a wonderful fortuneteller at our Harry Potter Festival" -Kate O. If you loved working with About Faces Entertainment, post on our Facebook page! 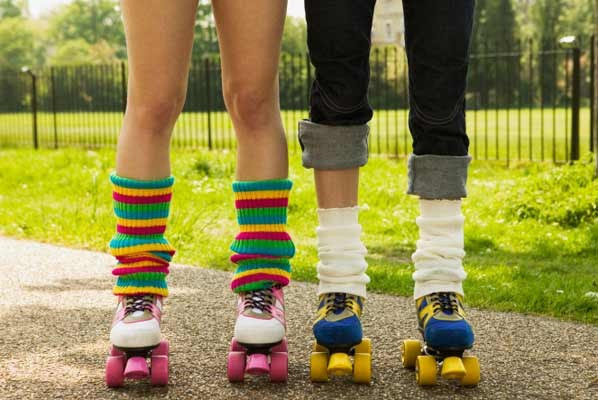 Speaking of roller skating, one holiday you should really celebrate this month is Measure Your Feet Day, on January 23rd. What if you grew a shoe size and you never realized it?! That would be terrible! You should be glad you have me, your trusty About Faces Entertainment newsletter writer, to remind you about these very important holidays. Just saying. Have a jubilant January!